The incidence of MH370 flight reminds me of my trip to Perth Western Australia. We flew to Perth on December 2002 and traveled around there for seven days five nights. Vineyard was one of our visiting destinations. 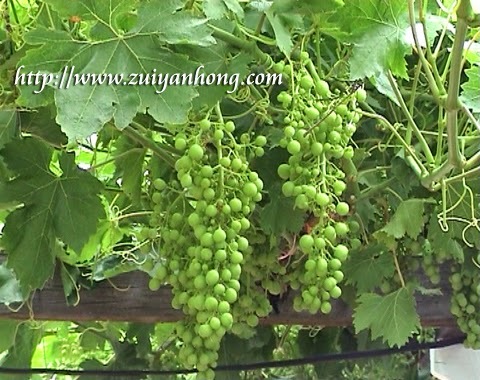 The green grapes were hanging in clusters on the plants. This koala is the favorite animal of Caversham Wildlife Park visitors. Caversham Wildlife Park is located at Lord Street Perth Western Australia. From Caversham Wildlife Park, we moved to a farm and stayed overnight. I can't remember the name of the farm because it's too long ago. The shearer showed us how to shear the wool of a sheep. This black swan was enjoyed swimming in Lake Monger. Remember to drop by Lake Monger when you are around Perth. There are many birds at Lake Monger includes seagulls and Mandarin ducks. 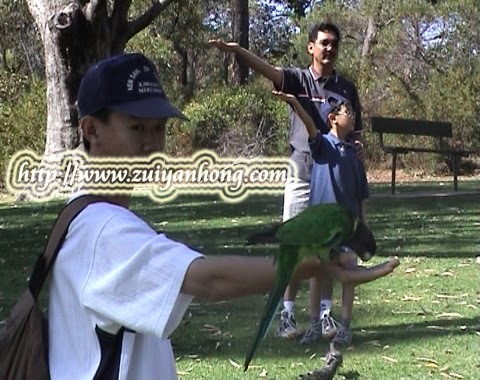 Besides watching various types of birds at Lake Monger, you can feed and take photo with beautiful parrots. As shown in the photo, the parrots will alight on your palm to savor the food you provide for them. This is the photo of Perth renowned Kings Park in Western Australia. Kings Park is a botanical park at western part of Perth. 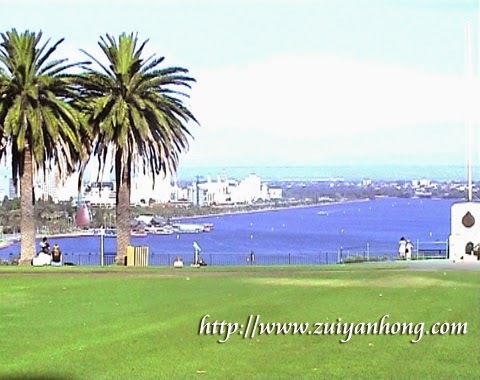 From Kings Park, you are able to view the magnificent scenery of Perth City and Swan River. 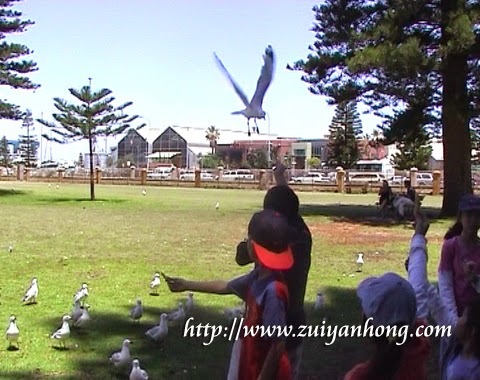 Feeding seagulls in park is fun for kids when visiting Fremantle in Western Australia. Fremantle is a port which situated at the mouth of Swan River and about 19 km away from Perth. It's the main port of Western Australia. It's around 20 minutes drive from Perth, Hillarys Boat Habor is the jewel of Western Australia. 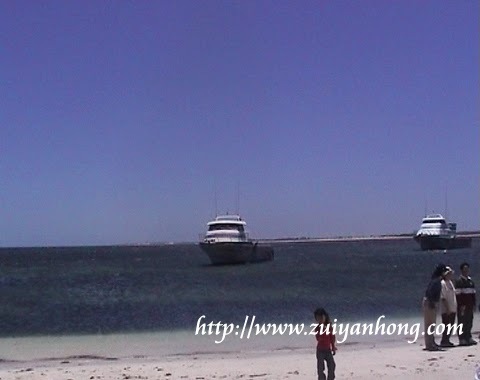 Hillarys Boat Harbor is facing the vast and deep Indian Ocean. Programs of whales watching are available from September to December. We had the opportunity to witness the Christmas procession in Perth. 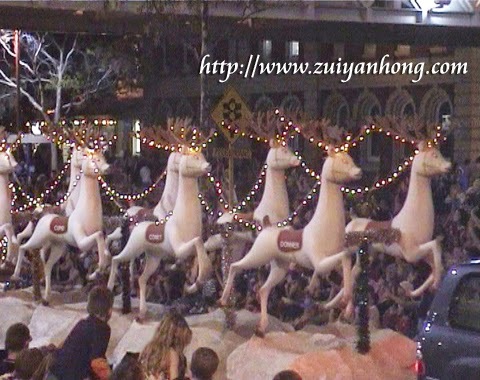 Before the parade began, we went shopping at Murray Street Mall and Hay Street Mall in that afternoon. Tourists and Perth residents were in festive mood starting from 7 pm. 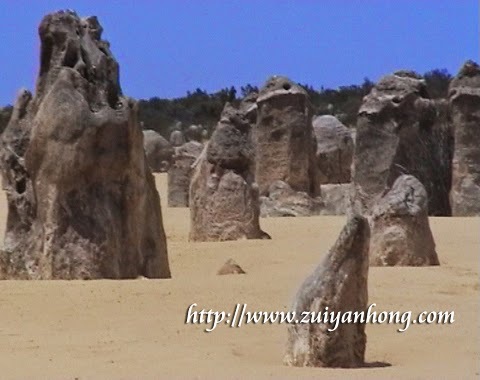 This is the photo of Western Australia famous tourist attraction that's Pinnacles Desert. Based on the tourist information guide I have, Pinnacles Desert is around 254 km away from Perth. In case you wish to get around in Pinnacles Desert, you should have time for a day to drive to Pinnacles Desert and back to Perth. 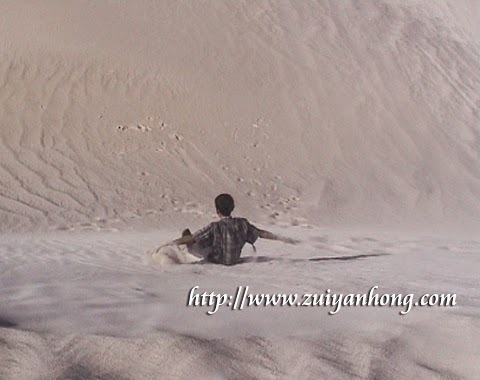 One of the interesting activities while you are visiting Pinnacles Desert is sand surfing. Don't miss the fun of sand surfing in Pinnacles Desert. You can try different methods of sand surfing. The above photo is the easiest way of sand surfing. You just sit on the board and slide down the sand dune. According to the announcement of Malaysia Prime Minister Najib Razak that MH370 had ended in South Indian Ocean. This is the photo of South Indian Ocean. It was taken when we visited Pinnacles Desert. The water of South Indian Ocean was truly blue and the wing was so strong. Hopefully MH370 aircraft can be found as soon as possible.